The Bethlehem Mouse is obviously a popular character as 175 people squeezed into the church to see him. A lovely atmosphere at the Christmas concert with Mel on his classical guitar, Jeff Heskins as George Formby, Proseccos close harmony, The Last of the Summer Whiners, Pete the Kamikaze Pilot, Hannah and Maisie singing Calypso carols, Kings, Angels and Shepherds, lots of free food and a Christmas message. You missed a treat if you couldn't make it. 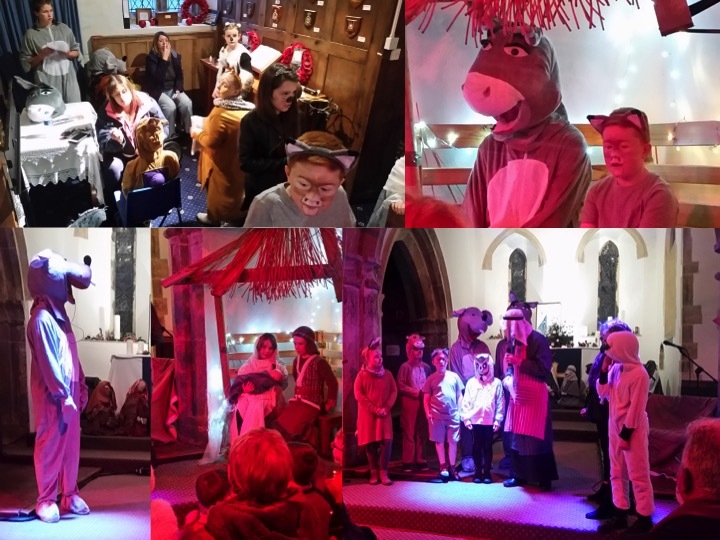 Loads of children came along to see a dramatic bible reading of Genesis Chapter 1 verses 1-5 by Hannah Bloom, Pete the Puppet appear as an angel, and Maisie Imogen and Izzy sing 10,000 reasons. What a great start to our season of Advent. Our season of invitation continues and is gaining a huge response as 200 people come along to our remembrance service, including a couple who, after visiting the website, specifically made the journey from Doncaster to attend. 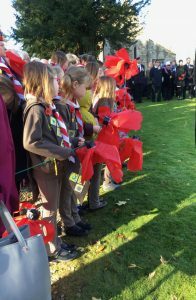 Following a two minutes silence, children were invited to place large poppies on the war graves. Over 27 million people worldwide have now attended an Alpha course, an opportunity to explore life and the Christian faith in a friendly, open and informal environment, running in tens of thousands of churches, coffee shops, bars and homes across the world. life, death and their meaning"
Our course kicks off at 7pm on Monday 5th February 2018 at Scampton Church of England Primary School, LN1 2SD. The evening is all FREE. The course then continues on Monday evenings for 8 weeks 7pm-8:45. Join us for food each week, a short film and plenty of opportunity to bat around your opinions, thoughts and questions, in smaller groups. More detailed information and sign up arrangements in the January newsletter, and also HERE. A young child went up to their mum and said..."you know - I'd like to go to church mummy". 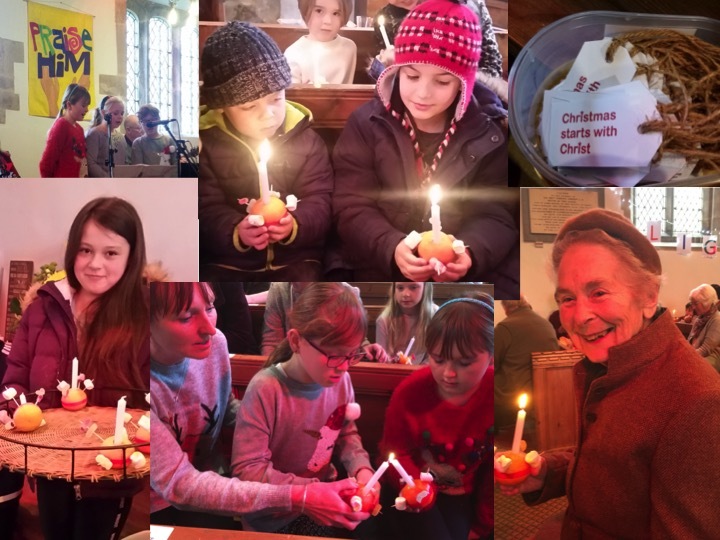 His mum thought this a bit strange as the family were not 'church goers', but wanting to encourage her child to explore different experiences in life she agreed that the family would go to the next Scampton Church Family Service to see what church was like. This happened to be the Harvest Celebration. At the end of the service mum asked..."was church what you expected?". "No" said the child "It was much much better"
A great big thankyou to the family for taking the 'risk' and coming along and a great big thankyou to Jon for talking the photos at our Harvest Celebration. Our new evening service which kicked off in June and ran through the summer has been extended to run through the Autumn...It's informal and contemporary in style. As you no doubt know the key principal at Scampton Church is to make Jesus known in a modern, relevant and unstuffy way, and that's the starting point for this service. It included a chance to have a chat, learn new songs, a space to pray, watch a film clip, and have drinks and cake as the evening unfolds. The summer series of three short video talks looked at 'Building the church at Scampton'. The video series is now continuing through the Autumn and gradually unwraps the real meaning of Christmas. Rev'd Sue Deacon opened her garden at Parsonage Lodge, Scampton on for folks to come along, bring a picnic and some chairs, and view the airshow. Although the weather wasn't the best 'airshow weather' , about £100 was made for church funds. Well done Sue - lets hope the weather is a bit better next year! A series of three family services based on the story of Joseph (Genesis 37 - 47) ran through the summer. It began with Gods plan to build His own people with the promise to Abraham, and how Abrahams great grandson Joseph came to be sold into slavery. The story showed how God has a plan for His people. Even though it didn't look like it. God was in control and was with Joseph even when his brothers lied about him. God stayed with Joseph giving him strength and wisdom to be the best in every situation he found himself in. In the last service was all about loving and forgiving, Josephs brothers said sorry for the wrong they had done and God enabled Joseph to forgive his brothers. Links were made to how Jesus shows what God is like. Even though we have done things wrong, he forgives if we ask Him. The bible reading for each service was a short video. You can watch the last episode here. 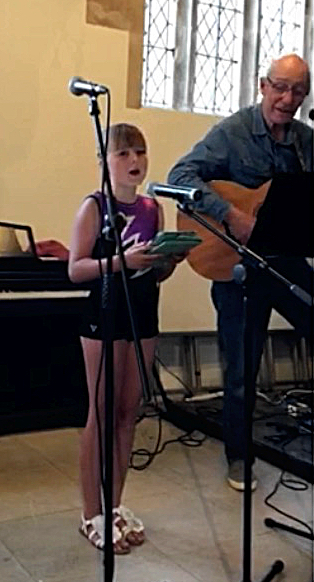 Izzy Woods (10), sang a parody of 'any dream will do' from the musical Joseph and his amazing technicolour dreamcoat. 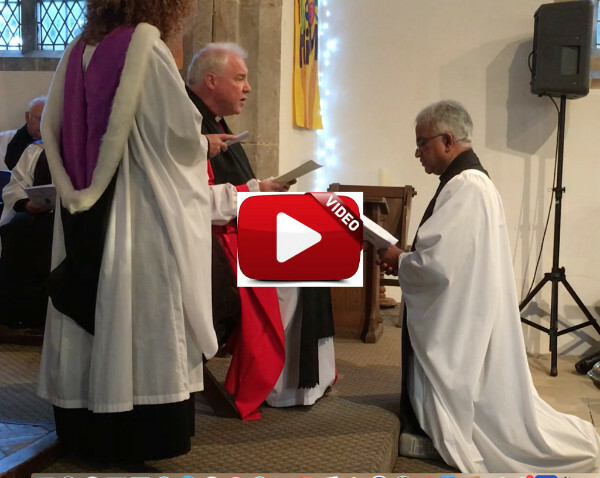 The Reverend Sebastian Mattapally was inducted as the Rector of the Springline Group of Parishes at Scampton Church on Thursday 27th July, by the Bishop of Lincoln - The Right Reverend Christopher Lowson. In an uplifting service attended by representatives of all of the parishes along the Springline Group, and from his previous church in Eastbourne, Sebastian swore allegiance to the Queen, the Bishop, and gave his commitment to work with the people of the Springline Group of Parishes together as servants of Christ. We welcome Sebastian and his wife Alida and look forward to living out the Gospel together amongst the opportunities and all of the challenges in our parishes. As part of our commitment to welcoming children into our church family we started a children's music group. The idea for the group was inspired by Izzy (aged 10 years) who was keen to sing and would like others to join her. She said "I really enjoy singing. It makes me feel very happy and lets me forget about everything else". The idea is to encourage children who have a bit of an ear for music to come along and sing, dance, move, play and learn as a young Christian. We have a small number of young people who already play at our family service. We would dearly like this to grow. So if you have in your family, or know of a young person who can sing or who plays an instrument and would like to join a band (grade 3 and upwards please) then ping us a message. Here's a photo of a couple of young musicians playing at the last family service, but remember that the invitation is to come along and learn, sing, play, dance - and have fun. 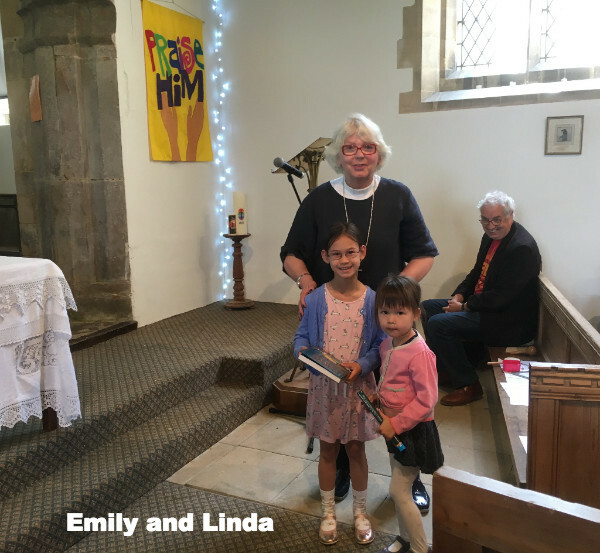 Emily and Hannah who were recently baptised were presented with bibles, and the dedication and hard work of Bill Shaw as church warden for the last 15 years was recognised. Thanks Bill for answering Gods call to serve us all in Scampton church. An initiative discussed earlier in the year by the leadership team was for our church to look outwardly more. As a result we have decided to support the Lincoln Community Larder, as our new community and mission partner for the next twelve months. The purpose of the Lincoln Community Larder is to provide basic food for people in crisis. They do this by issuing Larder Vouchers to a variety of agencies in the area who then refer people to them who are in need of assistance in the form of food. The larder provide 3 days’ worth of food for each person included on the voucher. The idea being that at every family service families are encouraged to bring a tin of food and place it in the box located at the back of church. Lincoln Larder give advice about the best tins required by them here. LOOK OUT FOR THE 'BAT' BOX AT THE BACK OF CHURCH! The Lawres Deanery Prayer Walk took place between Ascension Day and Pentecost to support the Archbishops of York Canterbury’s call for a wave of prayer to sweep the country. The walk in the Deanery was co-ordinated by the Revd. Chris Hewitt and was broken down into sections of 3 to 5 miles per day. The walkers stopped at churches along the way and at each church read a chapter from St Matthew’s Gospel and prayed. People took part in as much of the walk as they could or only walked a small part of the journey. They were welcomed at each church by people from the congregation, who joined them for fellowship, prayer and the Bible reading. 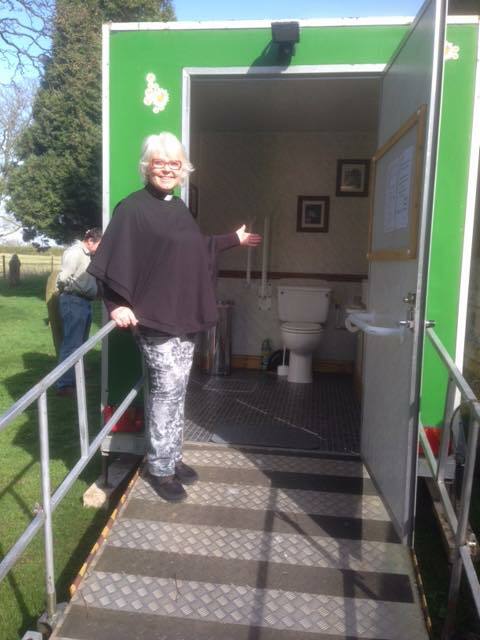 On a beautiful morning, Friday 2nd June three members from Scampton Church met the five walkers, joined them for prayer and much to their relief opened the toilet for them! They then waved them off on their way to North Carlton. The culmination of the Prayer Walk was held on Saturday, 3rd June at Nettleham Church when the church was packed for a service of celebration. This included the whole congregation, lead by the Rural Dean, dancing round the church whilst singing Lord of the Dance. 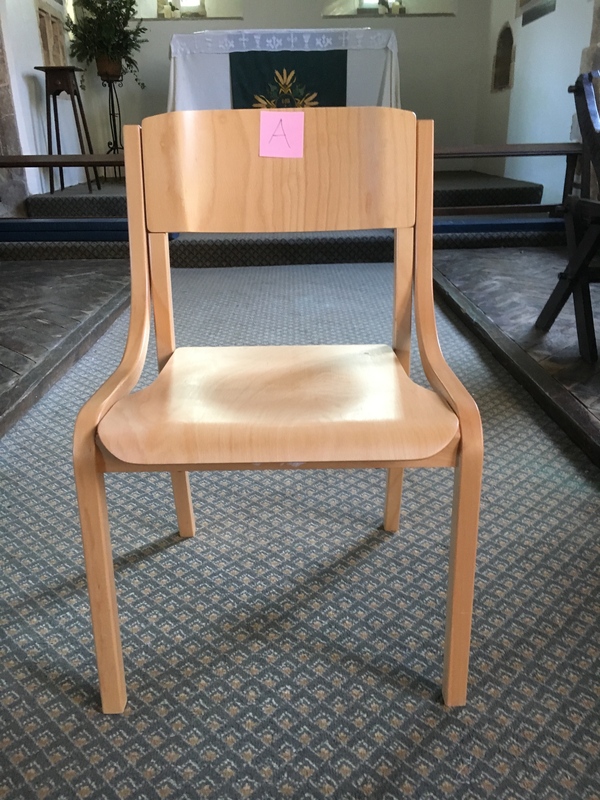 The application for the Faculty to replace the pews with chairs has been completed but the DAC ( Diocesan Advisory Committee) would like some further information putting on the application. This will be done in time for the case to go before the next DAC meeting, along with the faculty to move the font from its current position, in the entrance to the tower, to its previous position next to the last pillar in the North Aisle. The List B application for the installation of the new screen and projector will also be submitted. Following a meeting with the DAC we have now been advised that they have discussed the future of grant funding with the Heritage Lottery Fund, particularly in relation to the ‘Our Heritage’ grant stream. We were led to understand that a gap of two years between grants would be preferable. However, I cannot find anything in the guidance notes that specifies this! The grant goes up to £100,000 and I think we could make a case to run two ‘Our Heritage’ schemes back to back to reduce costs on site such as scaffolding. A follow-up meeting will be held to discuss how we progress the next stage of the restoration of the church roof and the provision of a community space for the use of all people in the village. 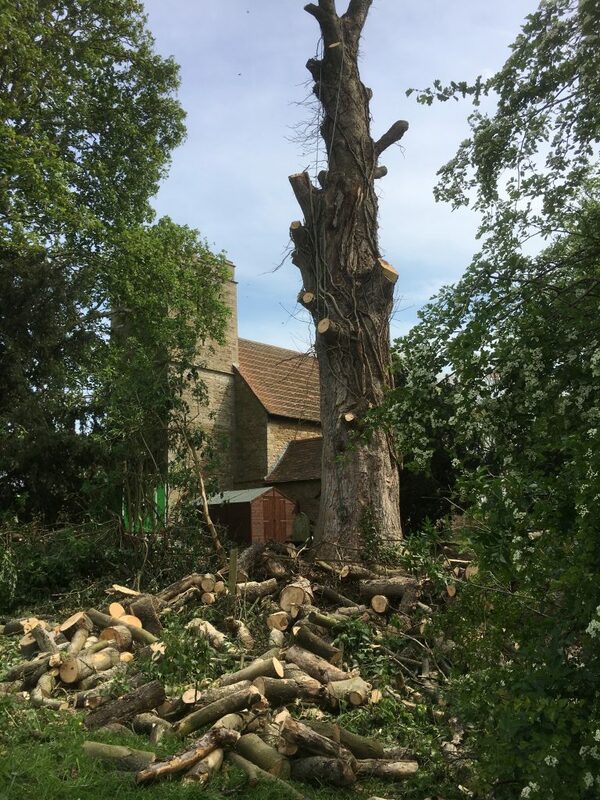 It is believed that this 150 year old sycamore tree has probably been in the churchyard since 1876 and may have been planted when the church was totally restored during the years 1876 - 1878. Sadly the top half of the tree had died off and branches were falling causing a danger. Although always sad to see such a large tree go, its removal has opened up a lovely vista across the park towards Scampton Hall. 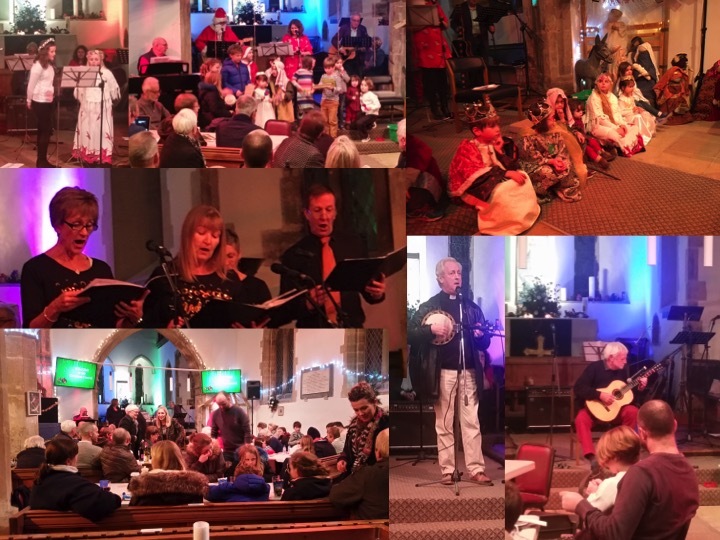 It was the 21st birthday party of West Lindsey's Open Churches Festival this year and Scampton Church was open on Saturday 13th and Sunday 14th May between 10am and 4.30pm. 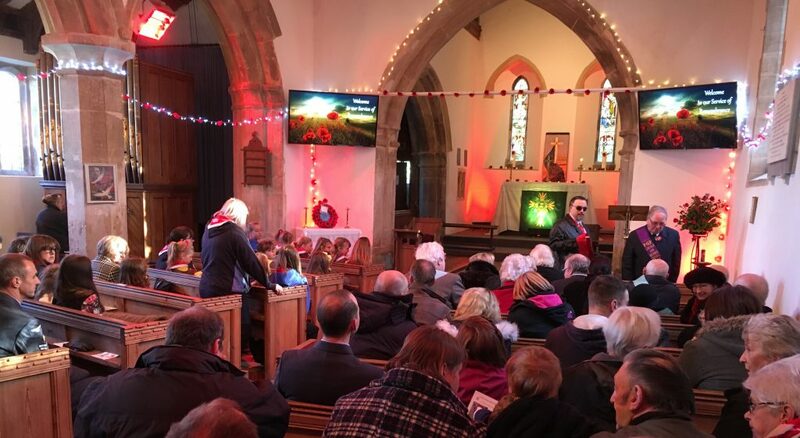 The leadership team put on a display which illustrated the work of Scampton Church, and commemorated the war graves and Bomber Command. There was also refreshments, a slide show and music. Thanks to the people who answered the call for help on the days to keep the church staffed for 13 hours and enabling £...to be collected towards church funds. Revd. Sue Deacon with the chief exec. 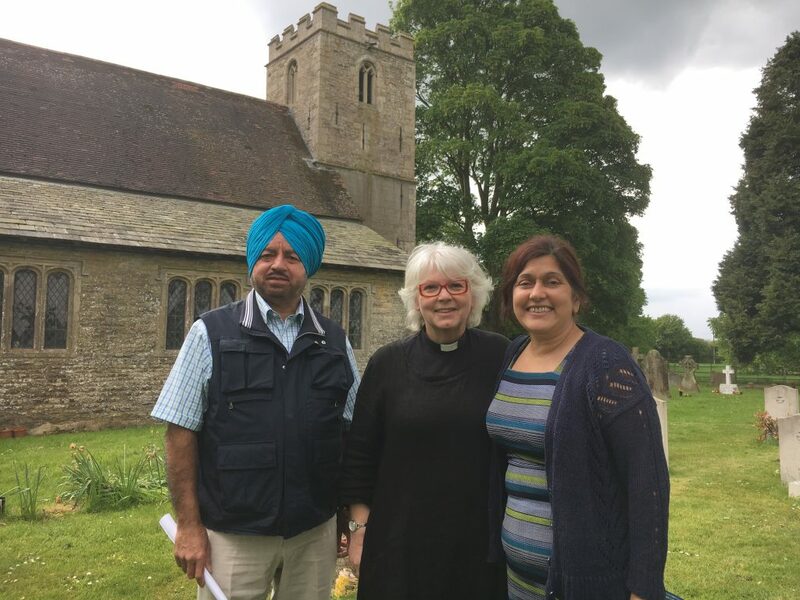 of West Lindsey District Council, Manjeet Gill and her husband Kuldip at the Commonwealth War Graves during the churches festival. He is risen - alleluia. 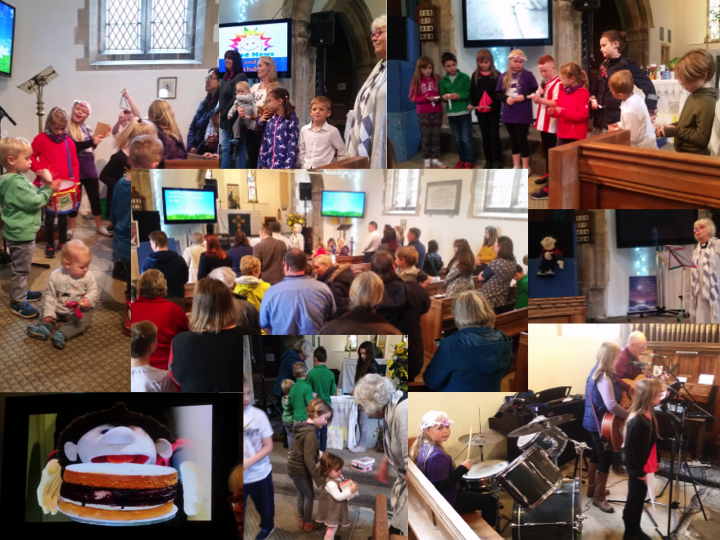 Sixty adults and forty three children enjoyed an Easter story movie, hunting Easter eggs, pass the Easter prayer parcel, Easter bingo, Pete the puppet and a conga round the church at our Family Easter Day service. There was lots of cheering and partying just as the disciples, Mary, Mary Magdalene and Salome did when they saw that Jesus was alive. 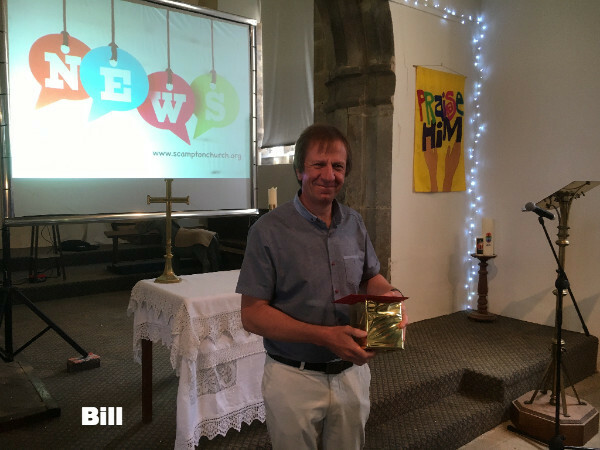 After 15 years as church warden Bill Shaw has decided to step down and have a rest for a bit. Bill has been a key figure in the growth of Scampton Church and will be missed. Thanks Bill for all your hard work. The events and tasks that you have arranged and undertaken are too numerous to mention. 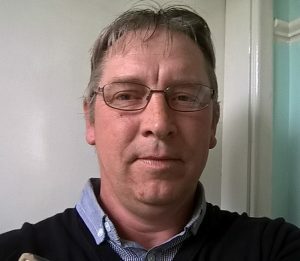 Bill is being replaced by Chris Kenny, who is keen to teach and support young people within the church family and also to encourage others to come along and join in new and exciting things which are happening here. 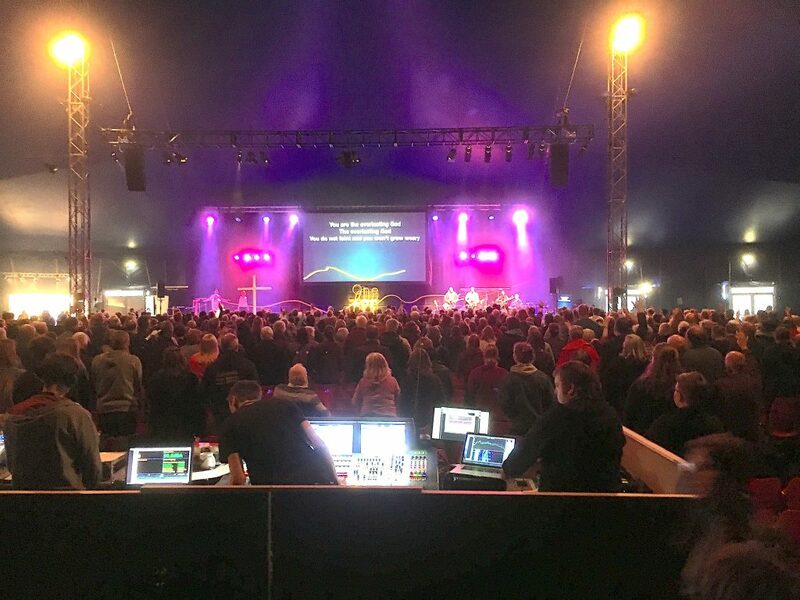 A great day out at Spring Harvest Skegness. The theme for the week was 'what it means to be united in Christ'. One of Scampton Church Families key values is being united through Christ in all our human diversity, so the theme for this years Spring Harvest hit the button for us. John and Audrey were there for the week and welcomed us with open arms, cups of tea, hot cross buns and cake. The teenagers that came along for the first time said 'can we come again next year and bring our friends'. Enough said. I think we may well be returning in greater numbers next year! (Oh how did Bishop David sneak into this photo. - Just in case you don't know who is is he's the one with 'bishop' written across the front of his T shirt!). Thanks for all your encouragement and support Bishop. This new temporary loo called 'The Daisy Loo!' has arrived at the back of Scampton Church. 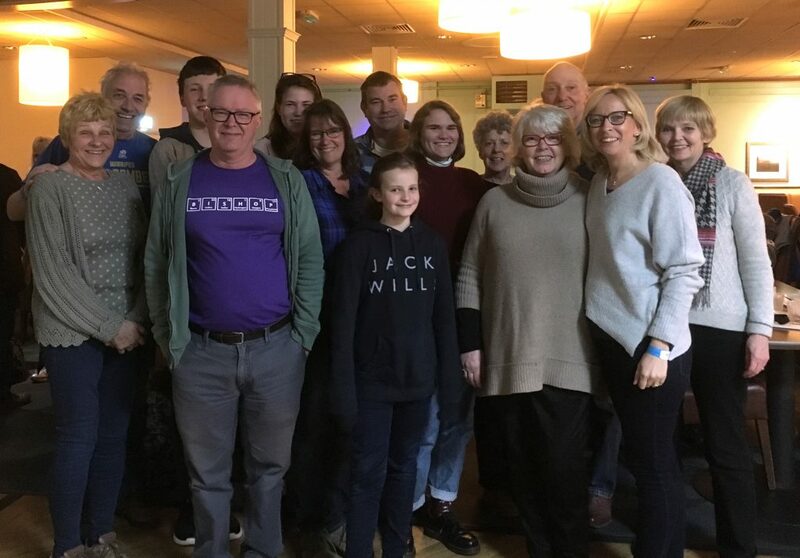 It is part of the leadership teams vision to create a community centre in Scampton, and apart from being an asset during church services it will provide the facilities necessary to enable fund raising activities to be held on the church premises during the next couple of years. The toilet is fully lit, has a ramp to facilitate disabled access, and contains baby changing facilities, a sink, and a fully pumped toilet system. 2 pews 1’6” x 11’ with book rail. 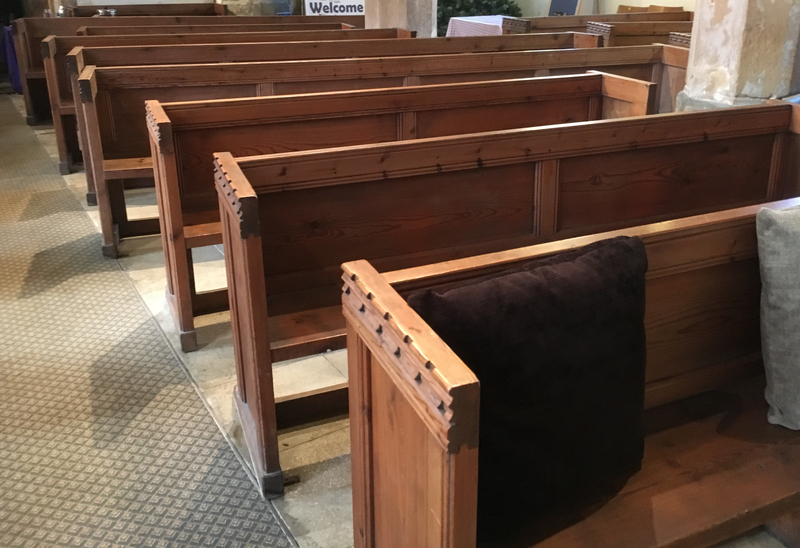 If you would like to register an early interest in purchasing a church pew then please contact us. 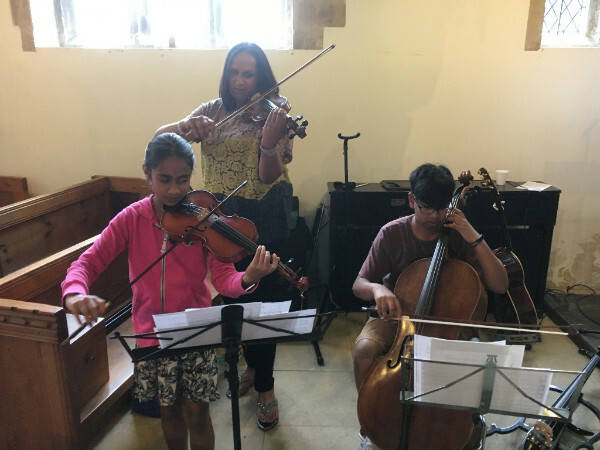 A big thank you to Runa, Aakash, Shivani and Amelia who brought along their violins and cello to join the worship group, and make the service lively and uplifting. Wow! what a difference you make towards encouraging everyone to SING PRAISE ! 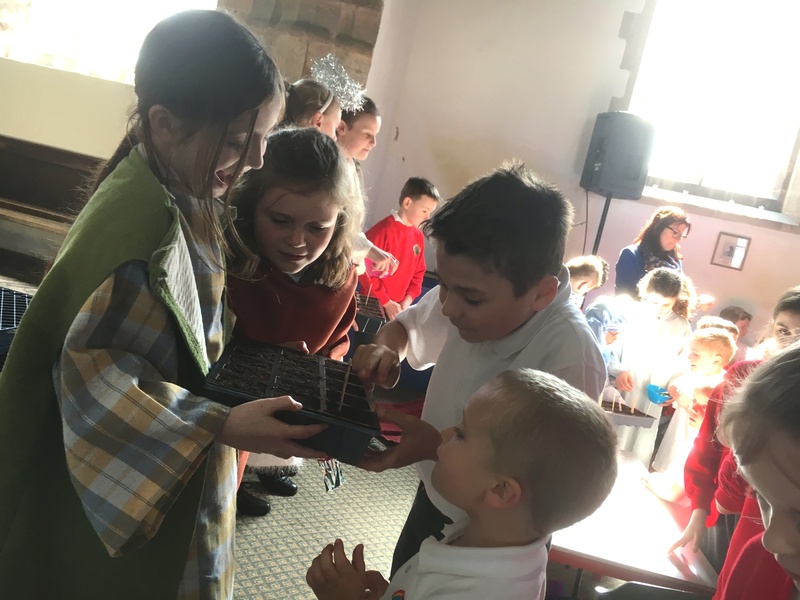 On the last day of the Easter term Scampton School performed a rock musical which combined biblical narrations, songs and expressive mime to retell the Easter story with warmth and feeling. The children then planted seeds to represent new life and placed them at the foot of a rugged cross which was used during the production. The Bishop of Lincoln has announced the appointment of the Revd. Sebastian Mattapally as the new vicar of Scampton Church. I left home early on and did my high school in Calcutta (renamed Kolkata nowadays), college and university in Darjeeling and theology in Bangalore, before being ordained as a priest in 1983. A year after my ordination, I left for Tanzania, East Africa, to be a missionary. I was only 28! That is where I learned to speak, write and preach in Kiswahili. There we founded and built a brand-new secondary school from scratch in the Mufindi district of the Southern Highlands of Tanzania. On Thursday afternoons we would take the entire school to a nearby village for social service and educational encounters. My weekends were invariably spent taking services and meeting people in far-flung villages, usually three villages every Sunday. A vivid experience that I will never forget is leading the people of a village to build their own village church. I remember Africa and the many good friends there with warm nostalgia! After 10 wonderful years in Tanzania, I went to Rome, Italy, to study. Here, I learned Italian and completed a doctorate in theology at the Gregorian Univweristy. While I was in Italy I met my lovely wife, Alida, who hails from the Venice region of northern Italy – no wonder our home is quite international in a linguistic and culinary sense: English and Italian coupled with curry! It was also at this time that I made the momentous decision to join the Anglican Church, first in the Diocese of Europe and then in the Diocese of Chichester. We now look forward to joining the Diocese of Lincoln, and to serving God and his people in the Springline Parish. God has been so faithful and so provident. His loving kindness has accompanied us all the way through. Having worked in various climes and countries and with various peoples and languages, my wife and I are eager to share our lives, our stories and our faith with you all. This is not something we ever imagined, even in our wildest dreams! But the Lord is always full of surprises for those who love him! (Romans 8.28). May He surprise us mightily in the Springline Parish! 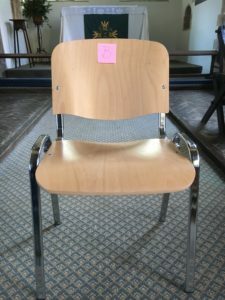 The removal of the pews and replacement with chairs is one of the first steps in realising the leadership team’s vision of creating a community and heritage centre with potential uses of worship; a closer relationship with the school through school plays and concerts, school services and project weeks; Bible study, music practices, family toddlers group, meetings, coffee mornings, senior lunch, craft evenings, fund raising activities. The pews are made from pine and late Victorian in construction. The Diocesan Committee has agreed that they were mass produced and of little significance to the character of the building. 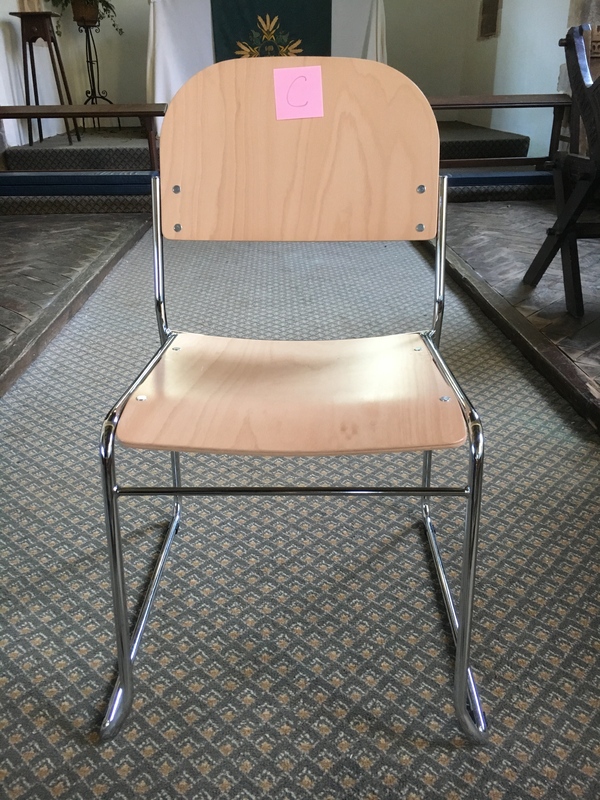 The leadership team are looking to replace them with one of these designs of stackable chairs. Want to pass an opinion? Then contact us. 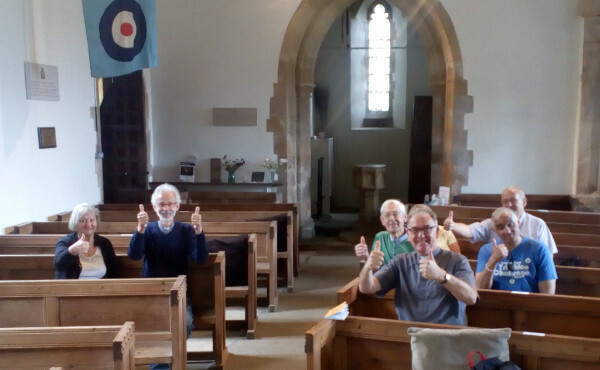 Over fifty people turned up to join Scampton Church family service this month. Our theme was 'leading us not into temptation' to break Gods rules which was our theme in the February family service. Pete the puppet was tempted by a pancake! There was a little drama about what we should do if we are tempted to break Gods rules, and some of the children from Scampton school taught the moves to Gods Love is BIG! Well done Bill for securing a grant from the Bishops transformation fund for the purchase of an automated rear projection screen for song words and video, to replace the free standing screen that we have been using for the past year. A walk around the churchyard in late February reveals swaythes of snowdrops and aconites...Yes spring is on its way. Moses came back and called the elders of Israel together and set before them ‘rules for living’ which God had commanded him. The people were unanimous in their response: “everything God says we will do” they said. 10. Don’t be jealous of other peoples stuff. The children were invited to complete a word search and Sue and Pete the Puppet illustrated the message by using a cake baking story, and giving out 'ten commandment' bookmarks. Well it is the beginning of a new year already. Where has the time gone? At Scampton Church we are looking forward to a really exciting 2017. As well as being a place where Christ’s love is preached – in a not stuffy way – we want to do more for our community. We have a wonderful building which we would like to share. At the moment you might think it isn’t quite conducive to social events, but we are changing that. Plans are already in hand to remove the pews and replace them with stackable chairs so the church building can be used for different community events. We are hoping to move the font to where it was originally in Victorian times. This will open up the bell tower for kitchen facilities. It will take some time to rund-raise for a permanent toilet, so for fundraisers and special occasion we have kindly been offered a portable loo. We are all buzzing with excitement over these plans. We have also recently been awarded money for a retractable screen which will enable us to have paperless services. It will also be useful for fundraising – Flix in the Stix and illustrated talks. This is our new ongoing journal page which aims to keep everyone up to date with Scampton Church, our worship during 2017 and onward into the 21st century. Remember that you can also follow us on Facebook as well. May we take this opportunity to wish you a very happy and hope filled new year. 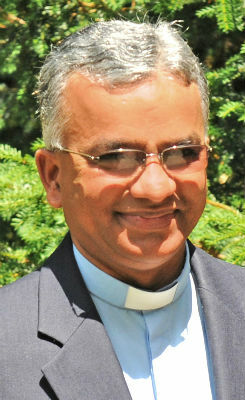 Revd. Sue Deacon (Local Minister) and the leadership team at Scampton Church.